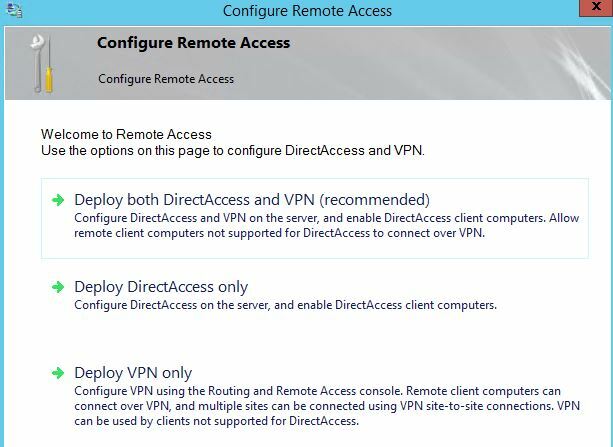 Good afternoon DirectAccess admins! Today’s posting is going to go over a recent error I’ve seen with a customer that took some time to work through. I appreciate the customer from California for being so patient working through this error! On Windows 2012 or Windows 2012 R2, we have WinRM running by default and it should already be properly configured. After we ran the netsh winhttp proxy reset command, we were able to get past the checking prerequisites screen and continue our DirectAccess setup. Hopefully this will help anyone else out there solve the mysteries of WinRM errors encountered with DirectAccess! ← DirectAccess Client Troubleshooting tool!